After all, the theme for this year’s Annual Conference is “transforming the world,” points out Rev. 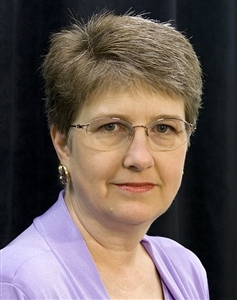 Beth Fogle-Miller, Connectional Ministries director and Conference staff liaison to the Strategic Leadership Team (SLT) appointed by Bishop Timothy Whitaker in 2010. Recommendations for change based on two years of work by the SLT are to be presented at 3:15 p.m. Thursday, when delegates from all over Florida convene for the UMC’s Annual Conference at The Lakeland Center. Fogle-Miller said the recommendations are intended to align the Conference, its districts and approximately 700 churches more closely with missional goals approved last year. With Whitaker retiring, any concrete decisions about applying those recommendations will have to wait for a new bishop to come on board, she said. Already, though, some of the SLT recommendations have created a buzz at district training sessions leading up to Annual Conference, said Fogle-Miller and Alice Williams, a team member and East Central District lay leader who attended several of the presentations. Both women said they hoped the SLT would be well-received by delegates. Fogle-Miller said the main focus of the UMC going forward is to make more disciples of Jesus who are like Him in a measurable way. “Transformation of the world: That is a great change for a lot of our longtime Methodists. It points beyond us,” Fogle-Miller said. Making a difference has long been the Christian mission. However, shrinking resources – both money and people available to carry out the mission – have accentuated the need to re-examine where and how the Conference spends its dollars and assigns its people, Fogle-Miller said. For example, the economic doldrums have lowered the value of surplus real estate that could be sold to pay for vibrant ministries. Church attendance and professions of faith, as measured in baptisms and confirmations, are down. That means energy must be directed toward outcomes that matter, but not only in dollars and cents, she said. For churches, the SLT report recommends that success be measured in development of Christ-like disciples, congregations that genuinely welcome people from all walks of life and communities transformed through “salty service.” Congregations should gauge the effectiveness not only of staff but volunteer committees and ministries. “That has touched a nerve because if you only look at the numbers, yes, we are subsidizing a lot of our churches in ways that are not evident until you look closely,” Fogle-Miller said. The report also recommends a streamlined Conference in which departments work more closely together and focus on the organization’s core mission, which is to serve congregations and such extension ministries as camps and college campus and outreach programs, Fogle-Miller said. The report recommends extending inclusivity training to more local church leaders to further recognize the increasing diversity of Florida’s population. It also recommends training programs to help congregations reach out to people in poverty, especially children. Fogle-Miller said the report is intended as a guide, not a specific mandate.